Cold Winter Weather Can't Stop our Hardworking Crew! So, what is roof hugger? 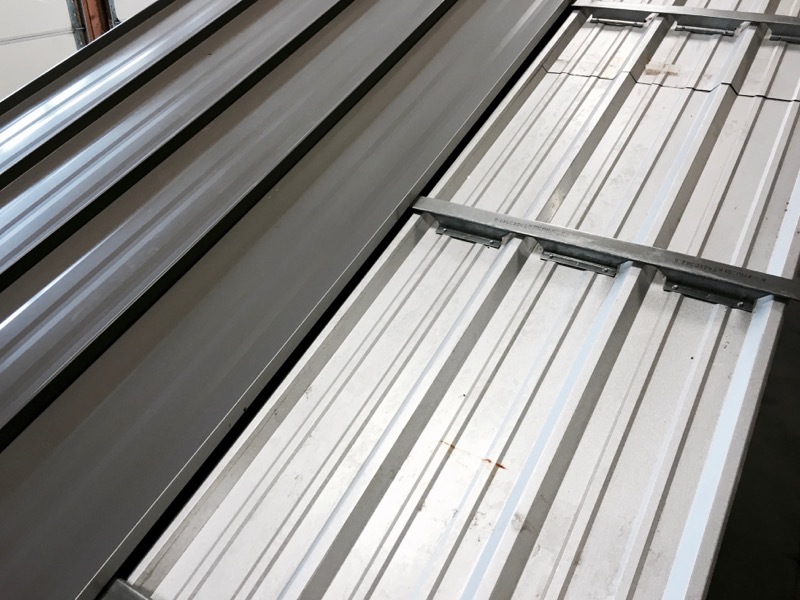 Roof hugger is a product that is used during a metal roofing process called a metal-over-metal retrofit. 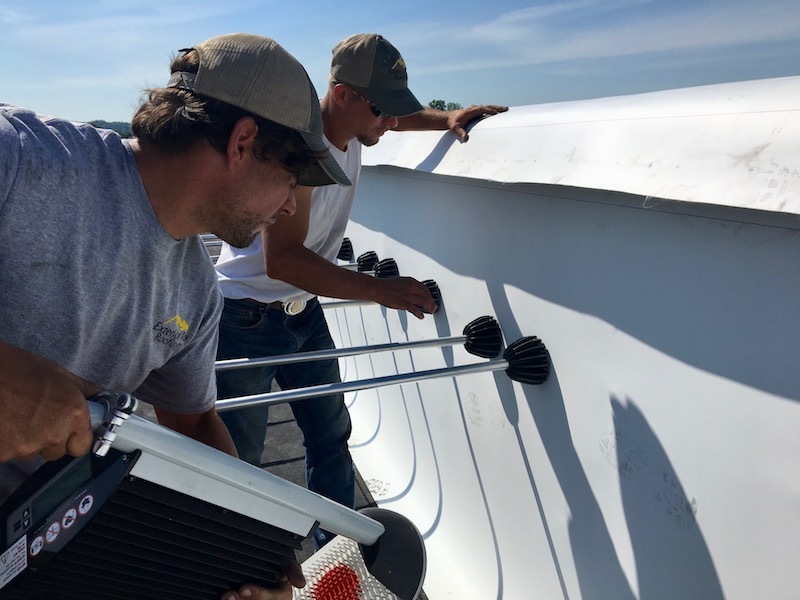 A metal-over-metal retrofit is when a roofing contractor recovers the existing metal roof with another metal roof without removeing the exist metal. 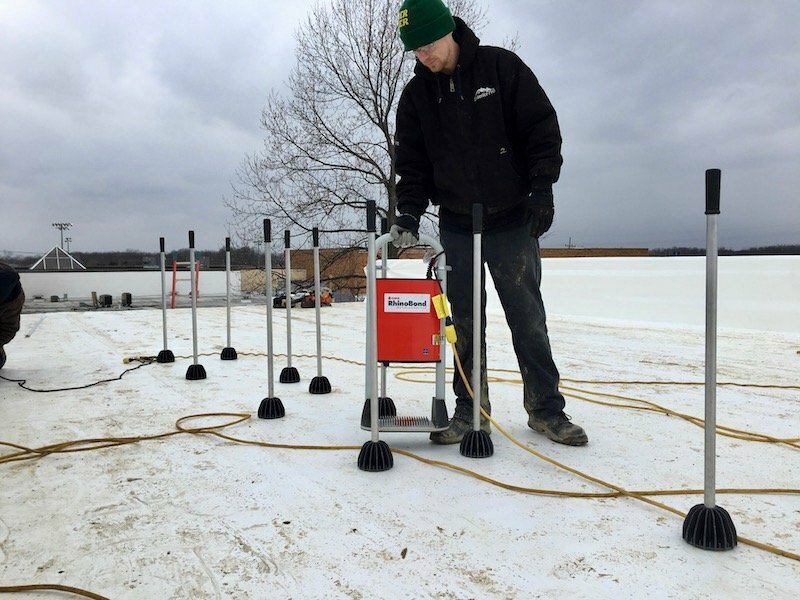 There are several clear and easy to see advantages of using the RhinoBond roofing system for both building owners and roofing contractors alike. 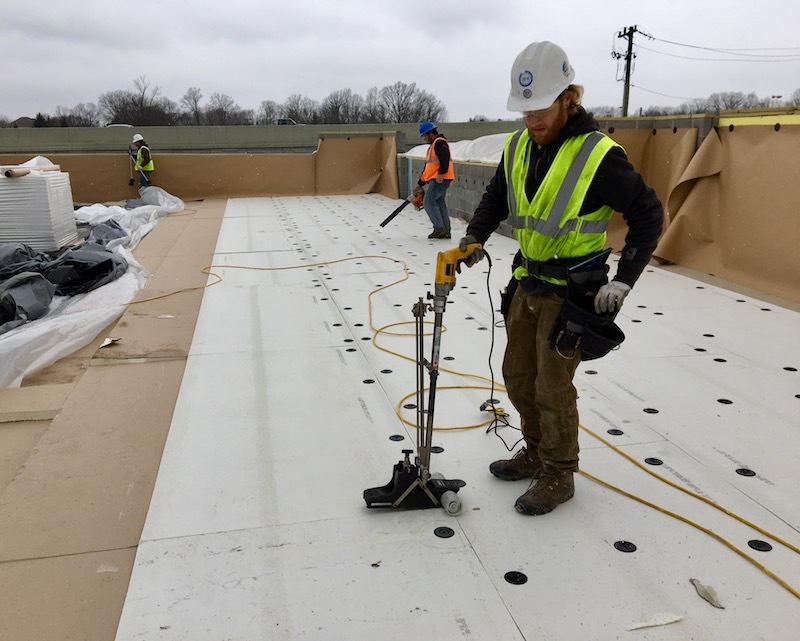 Using the RhinoBond roofing system is a quick and efficient way to install a single ply roof membrane to a building and it's also a great way to cover parapet walls. Using Rhino Bond on your walls eliminates the need to fully adhere or glue the wall flashings on. This saves money, time, and worry about workers spilling adhesive on the new roof while glueing walls. 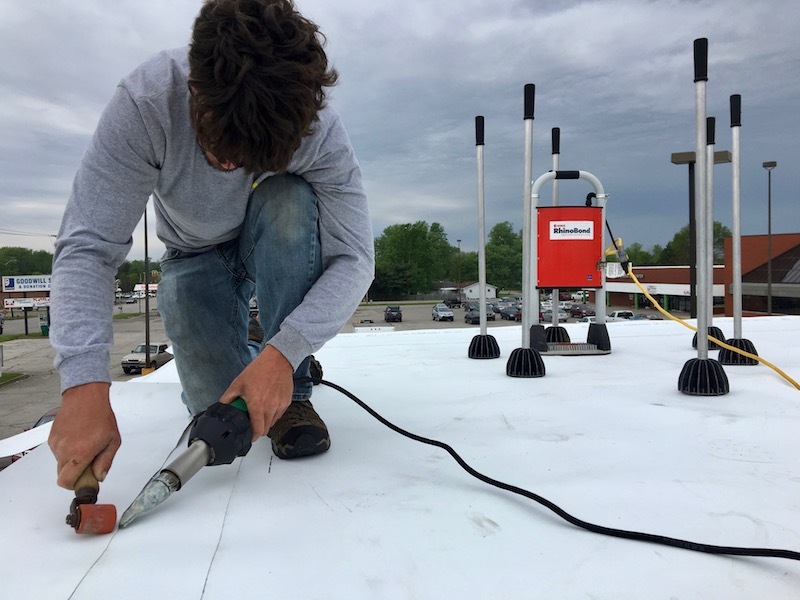 It also lets you roof in temperatures below 40 degrees which is usually the cut off point for using adhesives. 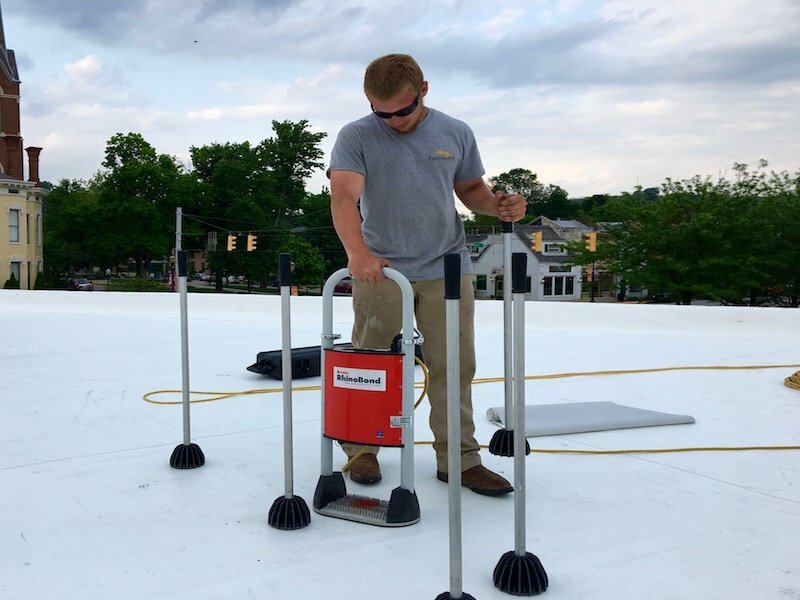 The RhinoBond roofing system can revolutionized how you install single ply roofing membrane making you more money, allowing for quicker and more efficient installs, and your crews will love it. 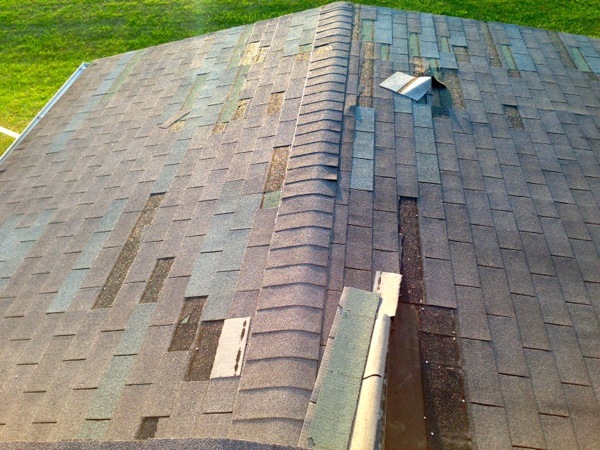 Shingle roofs do not last forever, and there are many problems that warrant a complete replacement instead of repairs. When has the damage gone beyond repairs to the need for a new roof? 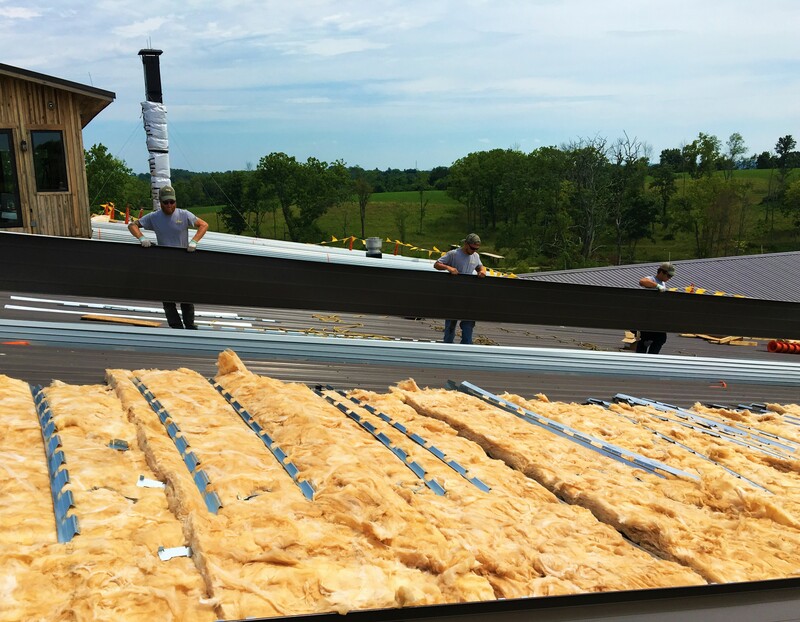 These are signs that signify when the time is right to replace the roof for a stronger and more visually appealing building.